The Rancho de Chimayo Restaurante has a long history of being a favorite dining destination for our guests at Casa Escondida Bed & Breakfast! 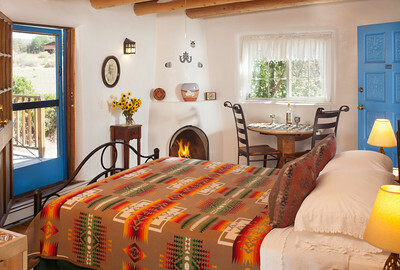 The Rancho de Chimayo Restaurante and Casa Escondida B&B are both located in historic Chimayo, NM (just 35 minutes north of Santa Fe, on the High Road to Taos). 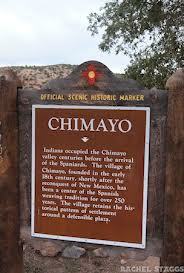 Perfect for your Chimayo dining and lodging needs! The Rancho de Chimayo Restaurante has been serving their classic New Mexican family recipes for over 40 years! This is “authentic” native New Mexican cuisine! Just to tempt your taste buds, you can even preview the Rancho de Chimayo Restuarante menu online. These delectable New Mexican favorites are made with local ingredients, including our famous Chimayo red chile. You will want to re-create some of these mouthwatering favorites at home, so be sure to purchase a copy of the Rancho de Chimayo Cookbook in their gift shop. 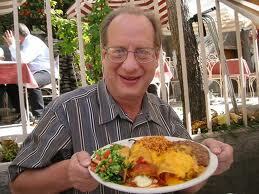 You will find recipes for Carne Adovada, Green Chile Rellenos, Fajitas, Sopapillas and more! Begin your meal with one of their famous Chimayo cocktails (tequila, apple cider and fresh apple)! Even the setting is authentic northern New Mexican. Dine in what was once the old adobe family home. 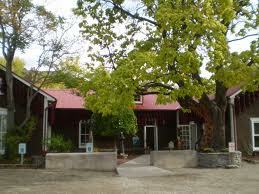 It is now beautifully restored and surrounded by mountain views and ancient cottonwood trees. During the warmer months of the year, the Rancho de Chimayo offers alfresco dining on their garden terrace. During the winter months, you can enjoy the warmth of indoor, fireside dining. Here you are surrounded by adobe walls that are adorned with traditional Chimayo weavings and old family photos of the Jaramillo family. The Rancho de Chimayo Restaurante is open 7 days a week from May through October (closed on Mondays, November through April) from 11:30 AM – 9 PM. When visiting Chimayo, we want you to think of Casa Escondida Bed & Breakfast as your own hacienda, offering a secluded and serene setting, with mountain views. 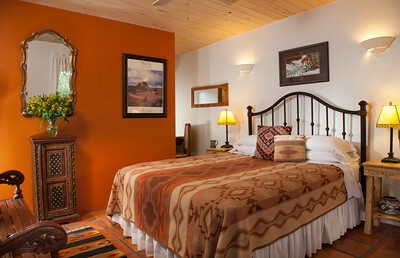 We have wonderful guest rooms available (all with private baths and cozy robes). A full, hot breakfast is included with your stay and is served each morning in our sunny breakfast room. Many of the Casa Escondida B&B guests enjoy an after-dinner soak in our outdoor hot tub. It is the perfect way to conclude your day. 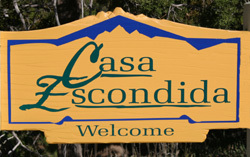 Casa Escondida Bed & Breakfast is happy to assist you with your lunch or dinner reservations. We also are delighted to offer special occasion packages that are sure to make your stay truly memorable. There is no need to leave your best friend at home either. 4 of our 8 rooms are pet-friendly. The staff at Casa Escondida Bed & Breakfast looks forward to having you as our guests.